It should be noted that age has nothing to do with liver spots but such spots occur as a result of the long decades of time spent in the sun. Both liver spots and age spots occur more in older people not because of their age but because they tend to form due to an accumulation of sun exposure and damage to the skin. There are several ways to remove liver spots and it is very important to have some facts in your mind before taking up any of such treatment. First of all, you need to know that liver spots have nothing to do with liver disease, it occur primarily from long years of exposure of the skin to the UV rays of the sun which result in excess melanin production or pigmentation. Clothes that limit your body’s exposure to the sun, umbrellas as well as sunscreen are some of the best materials that can protect you from the development of liver spots. One of the ways of increasing the success of your liver spot treatment is changing your diet. Diets that contain essential vitamins such as Vitamin C and E can naturally fade liver spots over time. Natural supplements can help you get the nutrients you are not getting from your daily dietary intake, hence you can include them in your dietary plan. If you are considering a fading cream, you can go for natural whitening creams which rejuvenate the skin’s collagen and elasticity for a better complexion and rejuvenated skin. If the right liver spot removal products are used on your skin, your skin will become thicker and more elastic, otherwise your skin may become itchy, irritated and become sore. If you notice these symptoms, then you must discontinue using such liver spot cream and seek professional advise. The key is to detect the processes your skin is going through especially when it is being treated and reporting such trends will help you to know if you are making a progress with such treatment. 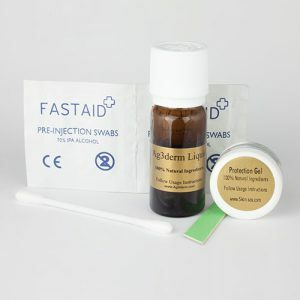 A good liver spot removal cream should contain some functional keratin to help the skin replace its dead skin cells, such a cream must contain harsh chemicals that can cause skin irritation or any other form of irritation on the skin. There have been reports by many of their skin reacting badly against hydroquinone, you should avoid creams that contain it. Even some over the counter creams for removing liver spots can contain small amounts of hydroquinone.